Written by Walter Chen on November 5, 2015 . Churn is a SaaS company killer. With 5% churn monthly, you’re losing half of your customers every year. That means you need to bring in half the number of the customers you have every year just to stay flat. At iDoneThis, the easiest way to run a remote daily standup, our churn could get as high as 10% on a monthly basis! That made growth extremely challenging, and we knew we had to cut it down significantly. After months of hard work, we were able to reduce our churn to 3%, about a third of what it was at its peak. That’s still too high, but putting a dent in that dreaded rate made all aspects of running the company feel easier. Here’s how we did it. Without product iteration, the product story won’t evolve and people won’t see a reason to come back to an app they’ve abandoned. When you’re in close communication with your customer, it’s easier to ask them to pay or upgrade. That said, it’s totally normal to feel daunted by the prospect of reducing churn. You’re getting at the heart of making your product and company actually work, and that can seem like a long, rocky road. But don’t despair — a journey of a thousand miles begins with a single step. Start with just one small thing, work on it, improve it, and you’ll be on your way to fixing your churn problem. Email is still the single most effective way to reach customers. The issue for founders is that we get a lot of email … and we hate it. That makes us not want to send email to our own customers. Thinking this way is understandable, but it’s a huge mistake. If you aren’t emailing your customers, you’re doing yourself and your company a major disservice. We use Customer.io to reach out to current and former customers to bring them back to our app, because it’s easy to send personalized, tailored email that trigger based on behavior inside of the app. These are the 3 types of emails that we send. First, we send onboarding emails to get the customer started. Losing 75% of your potential customers in the trial period is a type of churn. During this time, you want the prospect to have that aha moment where they experience your product’s core value. Second, we send lifecycle emails to reach out to the customer periodically to cultivate our relationship. It’s foolish to assume that just because somebody has become a customer, that they’re a customer for life. Stay in touch with them. Onboarding emails mostly apply to the first 30 days or so of the customer relationship. After that, you still need to follow up, even at day 90 or 180 or 270 to see how they’re doing and to make both happy and unhappy people happier. If a customer cancels, you should email them to figure out why. All of this will give you advanced notice on potential churn and allow you to fix problems before they run too deep. Finally, we send update emails. Every time you improve your product or make an update to your company that will improve the customer experience, let the customer know. This will reduce churn in two ways. Customers are less likely to cancel if they perceive constant improvement to the product and experience. And customers who cancel for a particular reason, like missing feature, can be reactivated when that reason is addressed. Send highly targeted emails so that your updates will be appreciated. We typically create multiple segments to our userbase containing 175,000+ emails to ensure that everyone receives a personalized message that applies to their specific circumstances. Early stage startups have to do a ton with really small teams. Often support might be done by 1 dedicated support person with the rest of the team doing rotations or jumping in on thorny problems until the company grows larger. Prioritization is vital to get the team on the same page and close high-value issues quickly. Support issues are usually time-sensitive. If you address them swiftly, you’ll have a customer. If not, you’ll lose them. It’s that simple. We use Help Scout for our help desk, and we customized it with prioritization in mind. 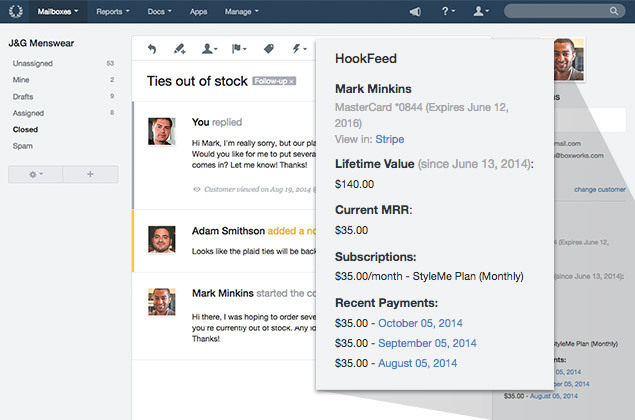 First, we created 3 high-priority inboxes: Enterprise support, Billing, and Help. Billing-related issues are usually urgent, so they need to be addressed quickly. Enterprise customers pay the most money, so we want them to get squared away. For instance, if a customer’s credit card declines, we’ll send email warnings. If it declines 3 times, we’ll cancel the account automatically. Requests to reactivate come into our Billing inbox. Address them quickly, and we’ve just saved a customer from churning. Take too long, and the disruption in service can be enough to make them lose interest. 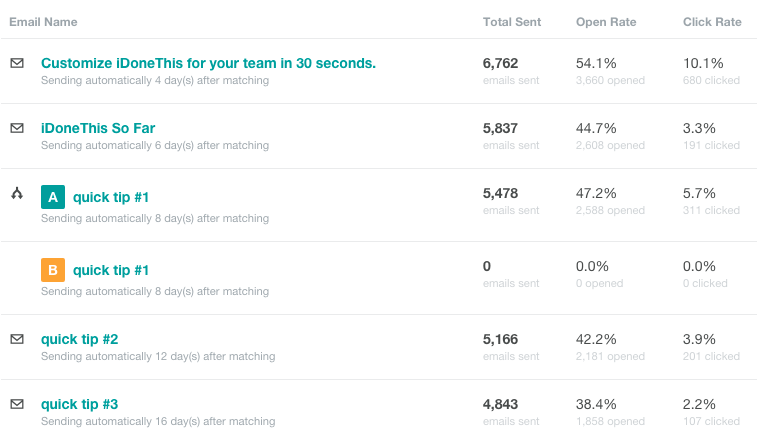 We use Help Scout workflows to surface urgent emails inside of each inbox. The workflow feature allows you to define a conditional if-then action, and we use these to help us hone in on our paying customers. We have 150,000+ free users and needed to separate their help requests from those of paying customers. We defined a workflow that moved their requests to a separate inbox. We resurface the oldest tickets to the top of the queue to make sure that we get them taken care of. We put urgent emails at the top so that we get to them first in each inbox. We also set up HookFeed‘s integration in Help Scout to bring in the context of Stripe customer data during the support process. This informs your support team about which customers are paying, how much, and for how long. If a thorny engineering issue comes up, this information empowers them to push teammates to fix the problem. If a customer has been with the company for a long time, the support team can throw in a personalized note of thanks. This creates support targeted towards those customers who can move the needle the most on churn while improving your brand and customer experience for the long term. Startups and small companies go out of business all the time, and that means churn. It’s more rare for big companies to go out of business. Big companies take longer to onboard, but once they have, they don’t want to go through that process again with little reason. They’ll stick with your product unless a 10x solution comes around. Big companies don’t care as much about cost — what they care about is value. We grew our enterprise plan into a healthy 20% chunk of our business that churned far less, and this significantly reduced the churn overall. The big question is: how do you get bigger customers? The answer lies in your existing customers. Look through your customer list — customers who are using a work email address, like steve@apple.com are your most promising prospects. Do you have multiple accounts from the same company? Upsell them into a consolidated enterprise account. Do you have a single user account who is using your product for work? Build a team version and upsell them into multi-seat accounts. Do you have company executives who have signed up? Get them interested in a company-wide deployment. It’s important to break out your churn into cohorts. With 1 aggregate churn number, it’s hard to see whether any of your changes are making what kind of impact. Each cohort will be a week or a month in which the customer signed up. What you’re looking for is whether the churn in your most recent cohorts appears better than your churn in your older cohorts. The tool we choose to use for this is ProfitWell because it works via Stripe. You connect your Stripe account in order to produce actionable data like this cohort table: The main problem that you’re going to encounter is fluctuation in the churn from cohort to cohort. It can even fluctuate wildly, as in the example above. That makes it hard to understand your progress by looking at the cohorts alone. You’ll need to dig one level deeper into the data to understand it. Did your churn plunge in one cohort because a large customer cancelled, throwing off the data? Maybe large-customer cancellation is a persistent problem, and one you can fix to make a noticeable dent on your churn. Look at the actual customer data behind your cohort analysis to get a more complete picture of whether you’re improving, regressing, or staying the same. You might have only postponed churn. When the next year comes around, you could see a rash of yearly subscription cancellations. To mitigate the risk of that happening, phase yearly billing into the mix gradually, over a few months, so that you can see what happens and make adjustments. Don’t ignore your yearly customers or take them for granted. An annual bill amount is pretty large — so your customers will put more thought into whether they want to renew than they might for a smaller monthly subscription. Make sure that you’re just as active about communicating with your yearly customers as you are with your monthly customers. Make yearly auto-renewal as frictionless as monthly subscriptions. Credit cards go stale in between billings far more frequently for yearly cycles than it does for monthly, because of the increased span of time. That magnifies the importance of pre-dunning emails, the emails that you send before a credit card expires in anticipation of expiration. How Did You Reduce Churn? Reducing churn is one of the hardest things to do. That’s why I love hearing from other people on how they tackled a high churn problem and cut it down to size. How did you reduce your product’s churn, and what tips and tricks can the rest of us take away from your experience? Let us know in the comments below!